designed to be adjustable power in detail by stage 1 ‘-100 (low to high power) and enables you to obtain the convenience of various treatments. 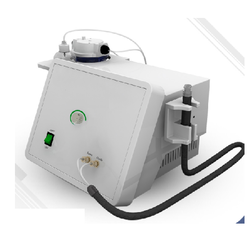 The Servotronic EC 100 micromotor system is equipped with an extremely powerful, electronic commutated micro motor which is ideal for use in the field of dermatology. Radio frequency produces heat under dermis to form collagen tightening. It further tightens the dermal tissue and make the skin tightened, smooth and fresh. It improves & treats flabby skin. Lymphatic drainage will help in elimination of metabolic wastes from the body tissue. Obagi is one of the world’s most recognized names in Skin Health Care and the preferred choice of physicians for prescription strength product lines that transform skin. Headquartered in Long Beach, California; Obagi medical products Inc. is a pharmaceutical company that develops, manufactures, markets and sells proprietary prescription skin care systems. 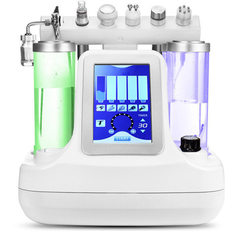 Product Description SkinPro-1 Hydra-Facial Dermabrasion skin Care Device Working Theory.